A long-simmering dispute between Liberty Mutual auto insurance and the state of West Virginia has reached its conclusion. West Virginia Attorney General Darrell McGraw says a state court has permanently barred Liberty Mutual from using salvaged or aftermarket crash parts to repair motor vehicles that are less than three years old. The court’s order upholds current state law that requires insurance companies and body shops to obtain a consumer’s written authorization before salvaged parts are used for the repair of new vehicles. A year ago McGraw filed suit after he said an investigation by his Consumer Protection Division revealed that Liberty Mutual had willfully violated state consumer protection laws. He said Liberty Mutual admitted in court documents that it had repaired nearly 200 vehicles using junkyard and aftermarket parts in disregard of the Aftermarket Crash Parts Act. The original suit named both the insurance company and a West Virginia repair shop -- Greg Chandler’s Frame & Body, LLC -- for repairing vehicles with junkyard parts in violation of state law. The suit claimed that Liberty Mutual required body shops to repair vehicles with reconditioned, re-manufactured, and used parts in violation of West Virginia law. In addition, McGraw said Liberty Mutual failed to provide the proper notices and written statements to consumers. In West Virginia, it is unlawful for an insurance company to require the use of salvaged, used, or reconditioned OEM crash parts when negotiating repairs of motor vehicles within three years of manufacture, without acquiring the motor vehicle owner’s consent. Despite the state law, Liberty Mutual, McGraw says, continued to defend its surreptitious use of these parts which the attorney general said jeopardized consumers’ safety and diminished the value of consumers’ vehicles. 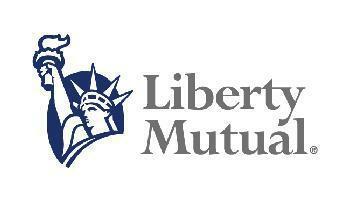 The court has not yet ruled on the amount of restitution Liberty Mutual will be required to pay to consumers, nor did it rule on the amount of the civil penalties. However, its ruling did send a clear message to the insurance industry that West Virginia courts continue to uphold its laws. Liberty Mutual is not the only insurance company using aftermarket parts for covered repairs. Nearly all do, or at least write policies that give them that choice, in the case of vehicles that are more than three years old. If you are concerned about the issue, you can request information from your insurance company about its policy. If you are having a covered repair to your vehicle, check with your state's insurance commissioner about requirements. According to car repair experts, consumers are entitled to demand original parts when their car is being repaired from an accident, but insurance companies might not pay 100 percent of the bill. Consumers who are leasing vehicles, which are usually less than three years old, must repair using original parts since they are required to return the vehicle in the same condition as they received it.